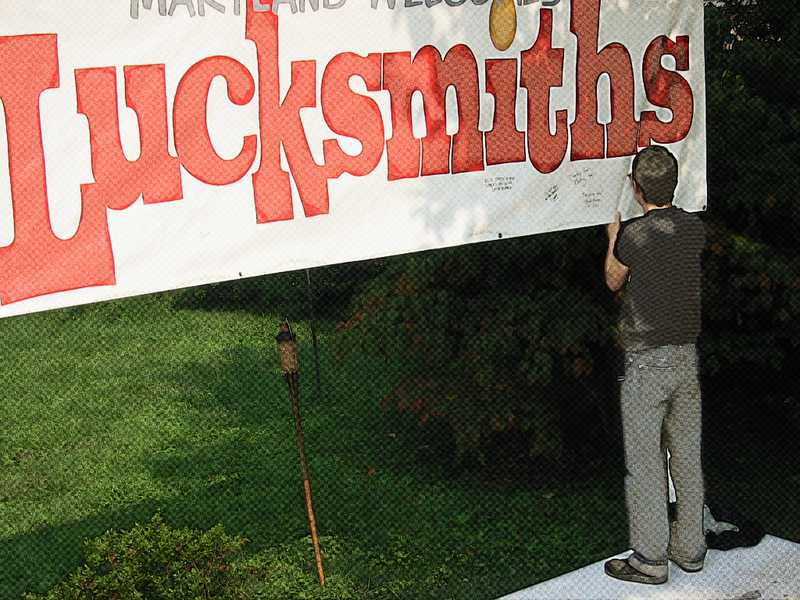 “In 1997, The Lucksmiths made their American debut with a single called “The Invention of Ordinary Everyday Things.” It was the first Lucksmiths record I ever bought. My friend George at Vinyl Ink in Silver Spring handed me the unimpressive looking 45 and, like always, said “you really need to own this.” I wasn’t so sure. The sleeve looked like a bad kindergarten art project, and the two songs on the record combined, added up to less than five minutes of music. Like everything George sold me however, if I didn’t like it, I could always bring it back: a generous return policy I never once took him up on in all the years I shopped at his store. He knew what I liked and he never steered me wrong. Instead he directed me towards interesting music that held a certain appeal to me for all kinds of different reasons. “The Invention of Ordinary Everyday Things” was no exception. Sleepy, languid guitar playing. Near imperceptible drumming. A melancholy muted trumpet. And of course wonderfully witty lyrics full of puns, alliteration, double entendre, and clever rhymes. Not just verse, chorus, verse, chorus, but a deceptively complex musical poetry where words and even syllables intricately weave the story of a relationship that’s run its course. As soon as the song ended I remember picking up the tone arm and dropping the needle on the edge of the record to play it over again and again. Thankfully both “The Invention of Ordinary Everyday Things” and it’s b-side companion, “Up,” appeared with slightly different arrangements on the band’s fourth, full-length album A Good Kind of Nervous — it’s much easier to hit “repeat all” on a CD player. Much of The Lucksmiths’ music celebrates the simple, ordinary, everyday things in life with a wry twist and a smile — which is why “The Invention of Ordinary Everyday Things” is a perfect choice for today’s Happy Medium Song of the Day.